It was winter when Scott and I found out that our family was going to grow by two little feet. We were thrilled. He hoped she’d have blue eyes. I hoped she’d love books. When late summer rolled around, and we finally got to meet our little munchkin, it turns out we both got everything we wished for and so much more than we could have hoped for. She has beautiful blue eyes, and she is every bit as much of a book worm as her mama. Yes, Charlotte really loves her books. Sometimes the love is greater than the book is able to handle, but we’re working on that. 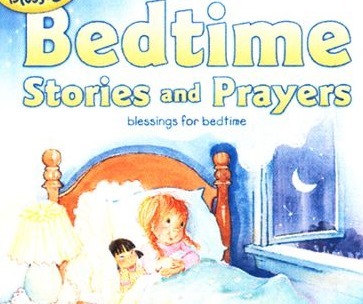 Last week, I pulled out Bedtime Stories and Prayers to read with her before a nap. She was so excited about the new book. It had big eyed puppies and kids, squeaky pages that looked delicious. And stories! What was there not to love? I thought the book was adorable. It is filled with these sweet, gentle images of little ones and their pets. 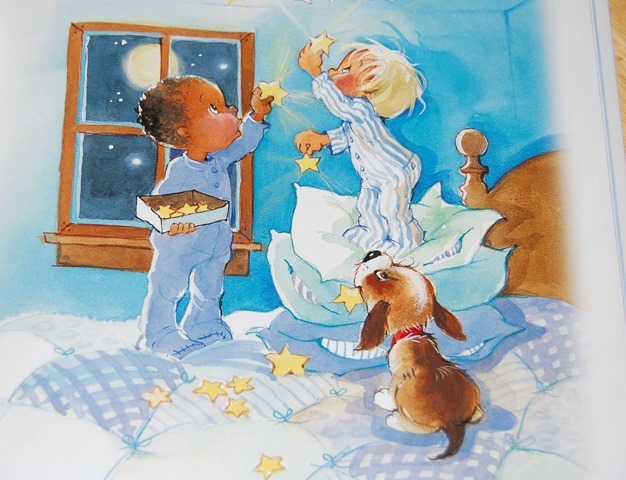 I’ve always liked Dandi Dailey’s artwork for children, and so it was very easy for me to fall in love with the artwork in the pages of this book of night time prayers and poems. I actually think I might have liked the pictures better than the actual words, though. The poems are cute, but the words feel a little forced in order to make the rhyme work. The sentiments are sweet, but maybe it just wasn’t my favorite style of rhyme. I do wish the pages would have been made out of something sturdier so little fingers could more easily turn them without the danger of them tearing, too. That said, with a little creative license as I read it, I can see this book being a part of our library for a long time. I love the idea of prayers just before nap and the sweet pictures definitely make this one a keeper.